Notification 2017 Eligible Candidates can Download Application Through Official website.Latest IIT Bombay Careers, Placement, Openings, Off Campus Vacancies, Interview dates are updated regularly. Eligible Candidates can follow Below Recruitment details. To get more Freshers Government Opening,Placement Paper and Graduate Vacancies Visit www.freshers-job.com. 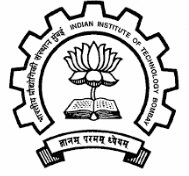 Indian Institute of Technology Bombay is a public engineering institution located in Powai, Mumbai, India. It is the second-oldest institute of the Indian Institutes of Technology system. IIT Bombay is now going to recruit some qualified candidate through examination. IIT Bombay hire both freshers and experienced candidates in every year. All job seekers who are interested to get a job in Central Government apply This IIT Bombay Job online. The Candidates from 2017,2016,2015 Batch who have completed 12th, Diploma, BE,Btech, Graduate Degree from any recognized Institute are Eligible this Recruitment 2017-18.Latest IIT Bombay Opening 2017 for Apprentices for Lab Assistant, Junior Mechanic, Assistant Security Inspector position.For a bright future and best salary in Central Government jobs apply this opening via www.freshers-job.com.More details about IIT Bombay Recruitment 2017 is given bellow. This is an excellent opportunity for those who are very much interested to join a career with Government Job with good working environment and best salary compensation. Jr. Laboratory Assistant - 3-year Diploma in Civil Engineering with relevant experience of two years after the diploma. Jr. Technician - 3-year Diploma in Electronics / Computer Engineering with relevant experience of two years after the diploma in the field of CCTV & network : maintenance, testing & troubleshooting and any other instrumentation related activities. OR ITI in Electronics / Computer trade with relevant experience of five years after the ITI certificate in the field of CCTV & network : maintenance, testing & troubleshooting and any other instrumentation related activities. OR Bachelor's degree (other than B.Tech. / B.E.) in Electronics / computer trade. Desirable Experience Two years of relevant experience in the field of CCTV & network : maintenance, testing & troubleshooting and any other instrumentation related activities. Assistant Security Inspector - Bachelor's Degree with security related experience of three years. Applicants should possess valid driving license for light motor vehicle and motor cycle. Ex-serviceman would be preferred. As per the IIT Bombay recruitment notification 2017-18, candidates should have minimum education qualification of 12th, Diploma, BE,Btech, Graduate Degree or equivalent from a recognized Institute are Eligible to apply IIT Bombay Recruitment 2017. Candidate should complete his / her 12th, Diploma, BE,Btech, Graduate degree in relevant subjects from a recognized University / Institute. Minimum 18 Years and Maximum 27 Years as on 01.07.2017. Accordingly the application must have been born not earlier than 01.01.1996 and not later than 02.01.1982, age relaxation details. Age relaxation is applicable as per Government of India rules applicable for different categories (SC/ST/OBC/PwD) visit IIT Bombay official Notification 2017 for more reference. Check fee details in official notification of IIT Bombay for Lab Assistant, Junior Mechanic, Assistant Security Inspector academic qualification, application fee, selection procedure, exam pattern are present in official Notice. Selected and Eligible Candidates for this IIT Bombay Notification posts will get a Rs Stipend up to @ Rs. 5200-20200/- month to month pay scale as per Government norms with Rs. 2000/- amount of grand pay. (Hard copy of the online application is not required to be sent by post).